Bee Organic was founded by Michigan natives, Amanda and Ryan Piszczek, in 2013. Amanda’s love for everything natural and organic fueled her desire to create a skincare company that produced a no-nonsense, totally transparent line of beauty products. After having children, Amanda’s drive to create 100% organic body butters, sugar scrubs, and deodorants increased; she wanted to make sure that whatever she was putting on her skin was also safe for her children’s. Amanda’s passion resulted in the company that is Bee Organic today: a family owned and operated 100% organic skincare company. We homemake and hand-fill all our products. And those products are all natural, non-toxic, and safe if accidentally ingested. 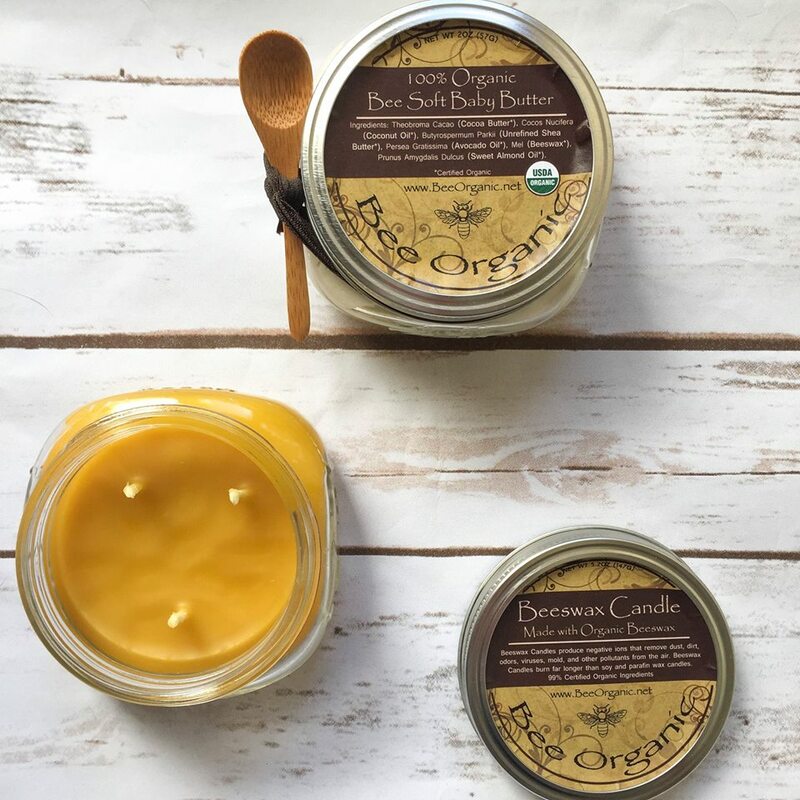 In addition to our beauty line, we hand-pour organic beeswax candles that burn slow and leave the air purified with a subtle scent of honey. The health and wellness of our friends and families are our number one priority, so we ensure our products are green to the core. For this reason, we carry USDA 100% Organic Certification. Our products are currently sold online at http://www.beeorganic.net. You can also find us in every Whole Foods Market in Michigan, several in Chicago, as well as a plethora of beauty boutiques throughout the U.S. For a complete list, email us at sales@beeorganic.net. We believe that green beauty is one of the first steps to living a green life. We’re here to help you begin that journey and to guide you along the way.